American Cruise Lines, the largest US cruise company, has partnered with Think Strawberries, one of India’s leading travel representation company. 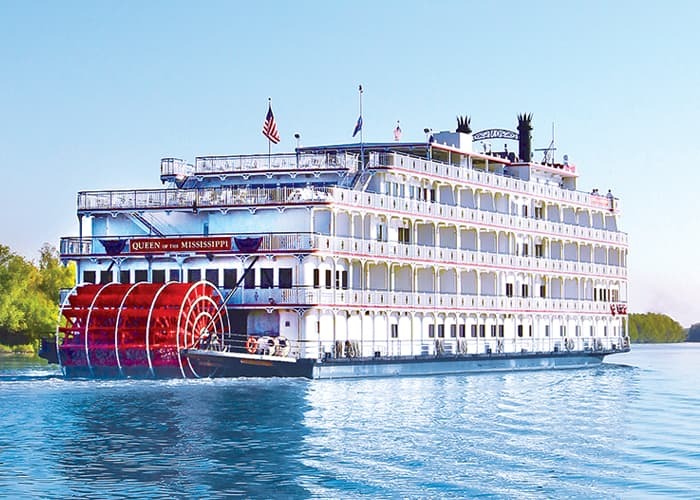 American Cruise Lines also recently announced the first of a new class of five modern riverboats destined for the American rivers. American Cruise Lines is a cruising company headquartered in Guilford, Connecticut, United States. Think Strawberries will be American Cruise Lines’ (ACL) exclusive ticket re-seller in India and this makes Think Strawberries the only company in India with rights to sell ACL tickets throughout the country. “With this partnership, we are confident of unlocking the full potential of the India growth story. With the Indian outbound at a record high, we are confident of strong numbers coming in from the region,” commented Susan Shultz, Director of Sales, ACL. International cruise liners are expressing interest in setting up shop in India as the market potential is showing a positive upward swing. This is a step in the right direction for Think Strawberries. India currently ranks as the 6th largest among Asian source markets of 2.1 million cruise passengers. ASEAN is preparing the region for a projected tenfold increase in cruise passengers to 4.5 million by 2035 through infrastructure development, improved onshore activities and training of staff. ACL also announced the details for the first of a new class of five modern riverboats destined for the American rivers. These will be the first to combine the modern styling of the European riverboats with the premium comfort for which American Cruise Lines is known. The first in the series is scheduled to begin passenger service in 2018 and will carry 200 guests. The new riverboat will feature the largest staterooms in the US, with private balconies, and hotel-size bathrooms. At 345 feet long, the new riverboat will include all the finest modern design features that today’s travellers have come to expect. “For over a decade, we have led the way with ship innovation in the United States, and we continue to raise the bar with this new class of modern riverboats,” said Timothy Beebe, Vice President of ACL. “American Cruise Lines has consistently pursued its new build program, as it considers refurbished boats unable to meet the modern expectations of today’s river cruise passengers,” he added. Construction has already begun on the new modern riverboat at Chesapeake Shipbuilding in Salisbury. In addition to the new class of modern riverboats, ACL is building two additional cruise ships at Chesapeake Shipbuilding. American Constellation has a capacity of 170 passengers and is scheduled to begin cruising in May of 2017 and its sister ship will begin cruising in 2018. Its modern ships are a testament to premier nautical engineering, luxurious comfort and river cruising convenience. The company’s fleet of vessels includes riverboats and coastal cruise ships, which offer modern amenities, state-of-the-art navigation and safety equipment.